My letterpress Wood & Water pieces and the new All In mixed media series are in this new pop-up gallery over at PROXY, right by Smitten Ice Cream and the Suppenkuche Biergarten, etc., at Linden and Octavia. 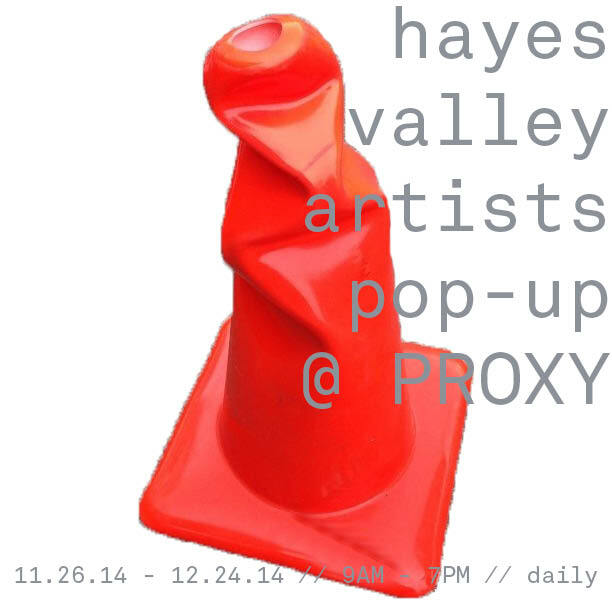 This is another show curated by the great folks over at the Hayes Valley Art Coalition. The location and imminent rain (at the time) inspired me to do a little chalk art outside the gallery last weekend. And then I’ve got a couple more pieces almost done in the studio, including this one. Happy art, happy rain, happy weekend, everyone!